Interactive Tours with Real Artists in a Music City Recording Studio! THIS IS OUR PREMIERE VIP EXPERIENCE FOR PRIVATE GROUPS WITH A STAR! 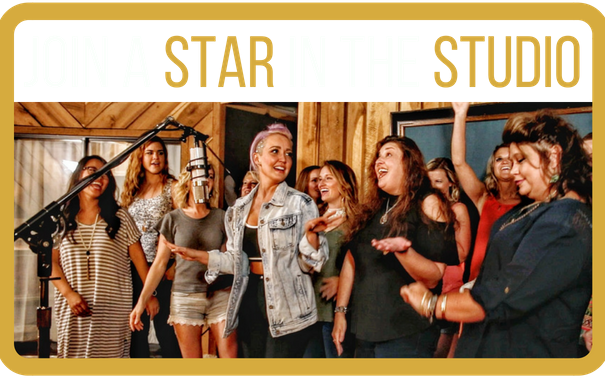 Your private group will join #1 Billboard recording artist Meghan Linsey from NBC's mega-hit tv show The Voice and Nashville record producer Tyler Cain on the ULTIMATE interactive Nashville recording studio experience! On this private tour experience, your group will go behind the scenes of a real recording session with a CMA and ACM nominated recording star, get a private acoustic concert, and your group's photos with Meghan on our red carpet! You'll even leave with an mp3 recording of your song with Meghan! DATES ARE LIMITED! CLICK HERE FOR MORE INFO AND BOOKING! INTIMATE CONCERT IN A RECORDING STUDIO! Join NBC's the Voice Runner Up & #1 Billboard Record Artist MEGHAN LINSEY and songwriter/record producer Tyler Cain for a once in a lifetime intimate acoustic concert in a REAL Nashville recording studio! DATES AND CAPACITY ARE LIMITED, SO BOOK NOW! You will feel the heartbeat of what makes Music City so unique when you step into the doors of BOLD Studio Nashville in Nashville's famed Berry Hill area. Take a seat in one of the pews from the set of the hit TV show NASHVILLE, and enjoy a 75 minute performance of songs and stories from a hit recording artist in this Bluebird-esque setting. This is an interactive, guided tour led by record producer & songwriter Tyler Cain who has worked in the studio and on the road with hit artists including Big & Rich, Darius Rucker, Billy Currington and more. You will learn how recording works in Music City, the history of Country Music in Nashville, and you'll even get to sing a gang vocal on a mic to experience it first hand! Don't worry, no musical talent is necessary! The bride and bridal party will collectively help write the song with a professional songwriter, and the entire group will even be a part of the recording session! You'll leave with the finished product, an MP3 of the song to cherish forever! You don't need to have any songwriting ability to participate! This really is such a special memory that the bride-to-be will remember for all time!